This is the complete guide to baths, basins and sinks. We have projects that cover all types of bath from cast iron to acrylic, all types of sink from bathroom to kitchen sinks and how you should install them. We explain trouble shooting tips and how you can find and fix leaks in baths, basins and showers. This is everything that you need to know about fitting appliances like baths and basins. In this section we cover every aspect of DIY and home improvement involving baths, basins and sinks. We will explain the options you have and their various pros and cons. We will cover practical trouble shooting including how to find and repair leaks easily. We also cover the fitting of all types of sink, including kitchen sinks. There are detailed guides to installing different types of bath, including cast iron, with tips to ensure the project is a success. We cover the installation and tips for maintaining or repairing showers and wetrooms in a separate section. With all the information from this section about sinks and baths, and the information about plumbing from the plumbing section, there is no reason that you cannot install your own basin or bath. What is a Bathroom Suite? A bathroom suite is generally considered to be a matching set including a bath, basin and toilet. Some retailers will advertise 3 or 4 piece suites (and sometimes more). These can be any combination of a sink or two, bath, toilet or shower; you will need to check the product description to be sure what is on offer. Often the bath is bought separately, as this is likely to be the largest and most expensive appliance in the bathroom. Cost will vary hugely, and not just for the quality of the appliances, as the design and aesthetics will come into play. The cheapest will typically be acrylic or plastic, then steel with be slightly more expensive, with cast iron being the most expensive. This is a very crude approximation as a cheap steel bath can be much cheaper than an acrylic one. 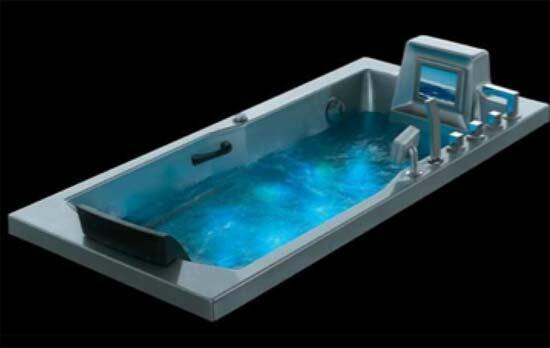 A cast iron bath will be in the region on 10 times the price of an acrylic one. There are some amazing designer materials that can be used for bathroom suites, and baths in particular. Stone, copper or even timber baths will be thousands of pounds upwards. They can have lights and even a TV built into them, which obviously will push the price up! The range of baths is only matched by the range of bath prices! When it comes to choosing a basin for your bathroom, it is worth remembering that pedestal basins are often the cheapest. 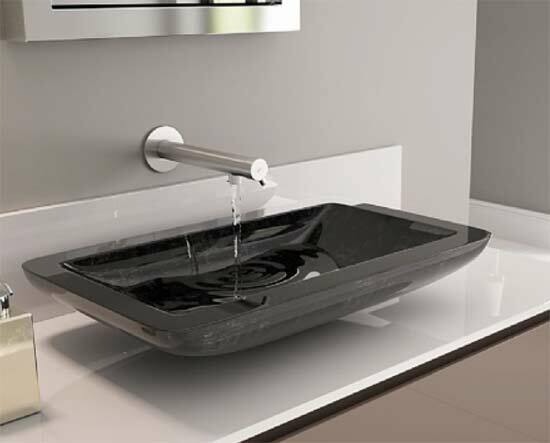 Wall mounted basins are then more expensive. Like baths, prices can climb rapidly with designer basins, especially which fashionable designs like washbowls basins. Choosing the right bathroom suite is always going to be challenging given the bewildering array of designs, materials and most importantly prices to choose from. Take the Plunge: When you are as clued up as you think you will get, then you need to buy. You might get a better deal from buying everything from the same place, or you might be better off buying separately – if you’re buying from a salesman, make sure that they are given the opportunity to price match! With these tips you should be able to buy yourself the right bathroom suite for your needs and budget. With the projects about you will be able to fit them yourself!